Michaela recently bought me a new coupon holder as a surprise and then together we cleaned out the old one. 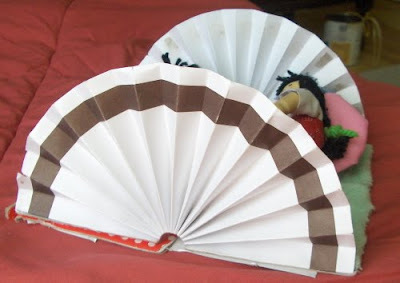 I was going to throw the old one away but Michaela wanted to keep it. My first thought was No! we have enough clutter already, but she said she could just picture something for the doll house. Well, that was enough for me! 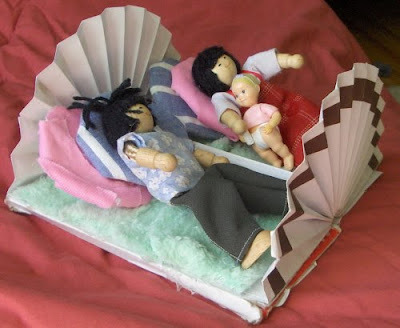 When she took the dividers out of the old coupon holder and spread the coupon holder fully open, she pictured a fancy bed for the dolls! I could see it too. As we are incorporating a Charlotte Mason education, this seemed the perfect opportunity to allow a personal interest to result in a handicraft. Michaela took the old coupon holder to her room and got to work. She opened the holder and glued on support underneath to keep it open. She glued in very soft, furry fabric for the mattress. The dolls love it! 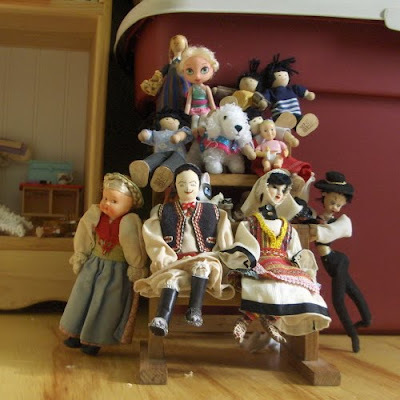 After the new bed was brought home, all the dolls went outside and got into formation for a family portrait. We think it turned out great. Oh, what a creative mind! I must show this to my daughter (age 10). She is very much into her dollhouse, although, once she can see your blog, I think she will be inspired to "kick it up a notch" to borrow a phrase. 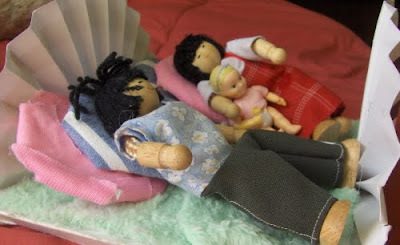 Thank you for visiting my blog and for sharing this wonderful dollhouse. It's me again. :-) I read this today and thought of you and your daughter's love of the dollhouse. I hope you get a chance to read this story. It is so sweet. I think this is such a great way to bond with one's daughter.Loved your creative ideas and of course the doll house pics. Wish we had stores where we could get miniature stuff like this in India too.